Watch this video to properly learn how to wear a dust mask and keep you safe from inhaling the unhealthy dirt and dust around you while working. Hi. We’re Alexandra Tool Hire. My name’s, Pete, and I’m going to give you some tool tips. 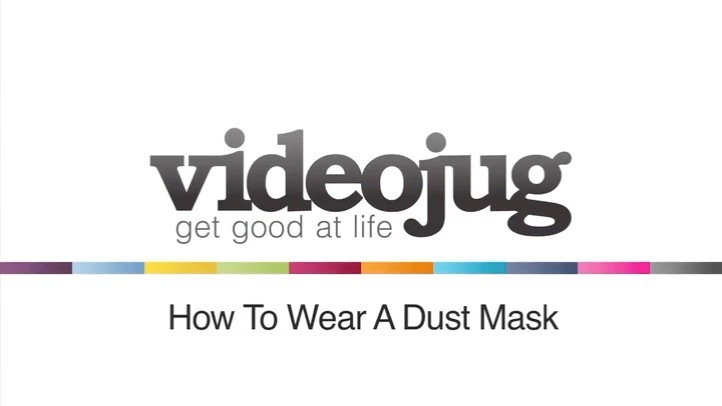 This video is how to wear a dust mask. Okay. I’ve got 3 masks here. In my other video I’ve told you how to choose the right dust mask. You can watch the other video, but this one is actually how to wear them. Okay. The first one here is a very basic dust mask. As we talked about in the other video. Okay. You’ve got your metal plate at the top here. This will go around the upper top of your nose here. Okay. You’ve got 2 straps. One at the bottom. One at the top. What you do is you put the 2 straps over. A bit awkwardly there. One strap will go to the top around the back of the head. The other one will be just around the neck line there. Making sure that the V is just over the nose piece here and it cuts under here. And that’s how to wear this dust mask. This is a bit more of a dust mask. This one’s a bit more high quality. A bit more elastic on this one. dust and stuff like that. Same sort of thing. Make sure your nose piece points to the top of the nose. Okay. Put both bits over. Fit the bridge to the nose. Same thing. Strap so it’s a bit at the top. And a bit of the strap at the bottom. Making sure that it firmly cuts around the face and that no dust can get in. Okay. This is the high quality dust mask. As I explained to you in the other video. With the different filters. We’ve got the 2 filters on here. Make sure the dust mask is in the right position. So, the ridge of nose in this part here. Okay. It’s got 2 elastic bits in the back. Higher quality. And the actual bit around here is made of rubber. Okay. So, what we do is we put the strap in our hand here. Same sort of the other ones. I don’t know if you can hear me now. And adjust the straps. Same as the other ones. Make sure the ones in the back. Fronts here. And this way you can adjust the straps so it’s tighter to the face. And that’s how to wear a dust mask.